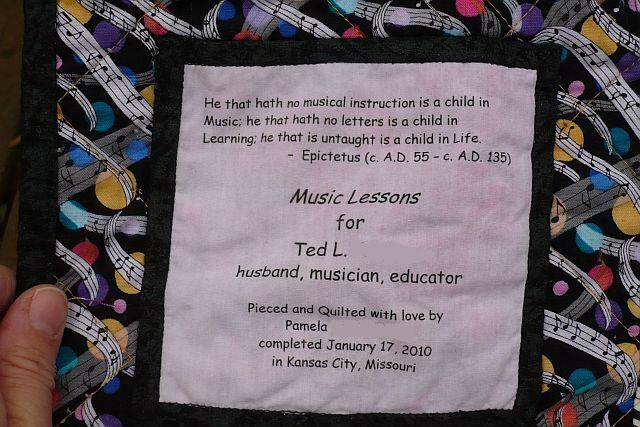 Posted by Pam in KC in designwall, finish, music quilt. Today, it’s really what’s NOT on my design wall. My wall is empty — I took down Ladder to the Stars because I needed the hangers to take a picture of “Music Lessons” (alternatively know as Ted’s quilt; Music Stars; and the music quilt). I finished it last night and took it out of the dryer a little while ago. It even has a label. There is a new tab for my 2010 finishes. I hope this is the first of many UFOs I finish this year. See what others have on their design wall’s by checking out Judy’s blog. Congratulations on finishing your first UFO for 2010. 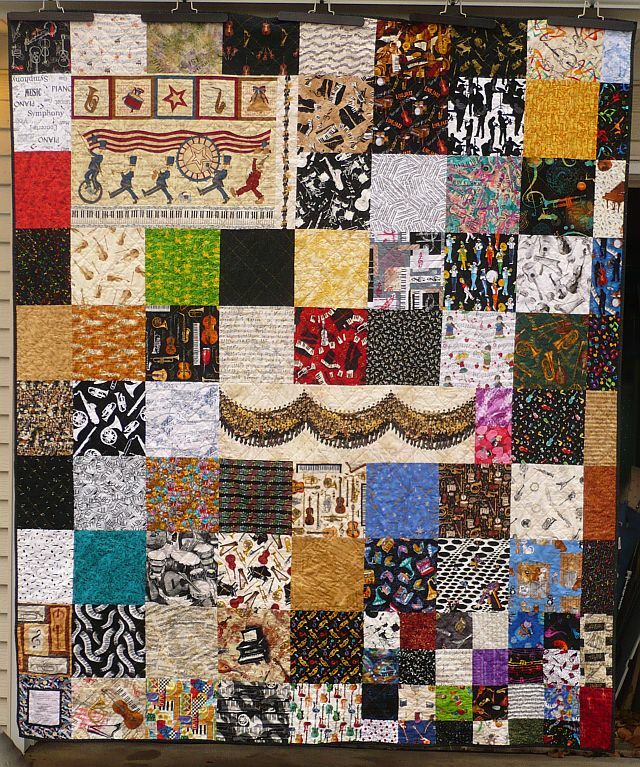 I love scrap quilts and this quilt is beautiful. Looks wonderful! Congratulations! Can’t wait to see what else goes on that new tab! Congratulations on a big finish! Beautiful on the front and the back! 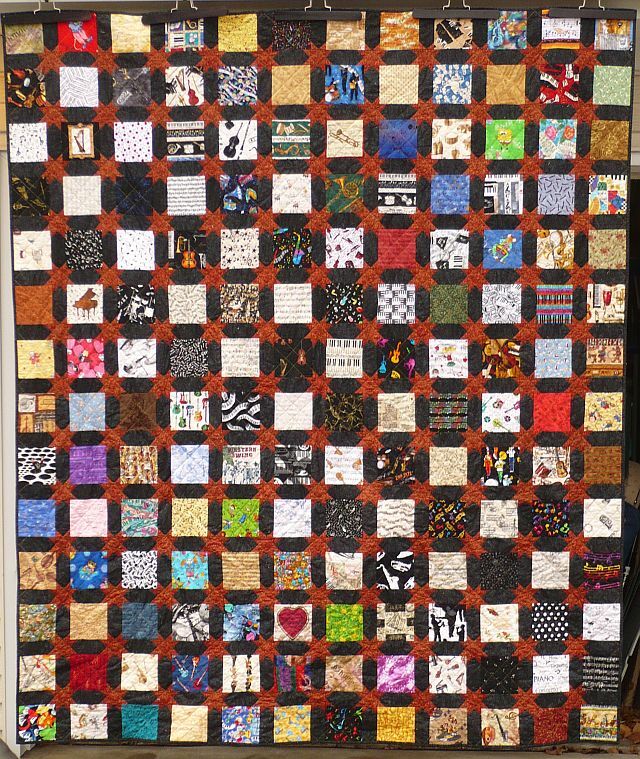 great quilt congrats on the finish. Congratulations on getting it finished! It’s beautiful, and I know it’s a big accomplishment . . . Can’t wait to see what’s next!